Despite this book being the progenitor of pretty much all of the pirate books of the 20th Century, as well as being an influence of many of the adventure and 'boys' books that came afterwards, I found this book rather dull. Maybe it has a lot to do with my lack of enthusiasm for 19th Century English novels (which does not include [author:Jules Verne], since he is French). In fact, I can't really think of any 19th Century English novels that I would actually jump up and say 'this is brilliant'. Personally, I really don't know what it is that makes me find much of the literature of the 19th Century boring, but generally I do (though I probably should make a note of the fact that Stevenson is actually a Scot). Anyway, this is a story of a boy, Jim Hawkins, who stumbles across a treasure map and then goes and shows it to a mutual acquaintance, Dr Liversey. Together they hire a crew and go and look for the treasure on Treasure Island. However, while they are hiring a crew, they bring on board a cook, Long John Silver, who then goes and hires the rest of the crew. As it turns out, Long John was the cook on the ship of Captain Flint, the pirate who buried the treasure originally, and the crew he hires were all pirates on that same vessel. So, when they arrive at Treasure Island, Long John and his men take over the ship, and those still loyal to Hawkins and Liversey, manage to escape. However, to cut a long story short (not that Treasure Island is really all that long), they outsmart the pirates, get the treasure, and all return to England happy men. Now, this was Stevenson's first novel, he wrote travel narratives before that, but this book was his first foray into the realm of the imagination. Further, his adventure into this realm pretty much changed the scene of the novel ever since, and many of the 'boys books' of the 20th Century can all look back to Stevenson for inspiration. 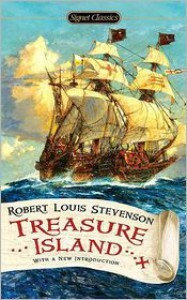 It is not that Stevenson wrote the first adventure novel. Such stories have been floating around for eons. What Stevenson did is that he constructed it so that that appealed to the modern reader. Not only is it supposed to be exciting (I didn't find it all that exciting) but it was also short and easy to read. It is aimed at a young audience, though many adults have read and come to appreciate it (me not being among them). Now, the best character in the book by far is Long John Silver. I always expected him to be a pirate captain, but he is much more sneakier than that. The fact that he escapes at the end of the book goes a long way to show this character's shrewdness. 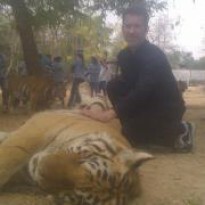 However, he also has a sense of morality (one which almost gets him killed). When he had captured Hawkins, the other pirates wanted to kill him, but Silver intervenes (and in the process almost gets himself killed). Silver, while being the man with the plan, demonstrates that it is not easy to take charge of a gang of pirates. He planned on taking over the ship, but the pirates ended up jumping the gun, as they do most of the way through the book, which in the end sows the seeds of their failure. However, the character that I found the most out of place would have been Jim Hawkins. He is a seven year old boy who is looking after his sick mother after his father dies, and he simply runs off on an adventure to find a lost treasure. Granted, one could argue that he went off after the treasure to support his mother, but considering the time it takes to travel, and the fact that the adventure would take at least a year, if he is lucky, then it really makes no sense. However, this is a 'boys' book which means that the character is one way to appeal to boys. The other interesting thing is to notice all of the pirate jargon and paraphernalia in this book. Phrases such as 'pieces of eight' and 'shiver me timbers' as well as the Jolly Roger, all find their birthplace in this book. While I may consider the book, and the story, somewhat dull, one cannot help but admire the influence that Stevenson's writing has had upon the literary world.